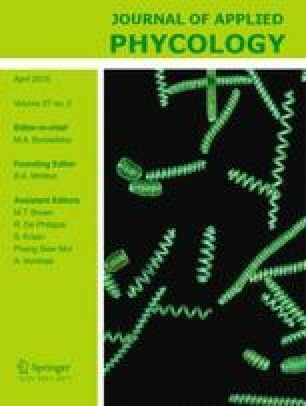 The main analytical benefit of this study is the development of methods enabling a rapid determination of triacylglycerols (TAGs) in different strains of the green alga Stichococcus bacillaris and detailed identification and quantification of a complex mixture of natural TAGs by reversed phase liquid chromatography-atmospheric pressure chemical ionization mass spectrometry (RP-HPLC/APCI-MS) and chiral HPLC. Neutral ion scan can readily identify, both qualitatively and semiquantitatively, triacylglycerols containing 16:2 and 16:3 fatty acids (FAs) in the molecule. Since more detailed studies in this respect have been stymied by the shortage of 16:2 and 16:3 FAs, we decided to study the alga Stichococcus as a potential new biotechnological source of C16 polyunsaturated fatty acids (PUFAs). We conclude that the genus Stichococcus is a major producer of C16 PUFAs mostly contained in TAGs. Further, the ratio of regioisomers and enantiomers of TAGs depends on the content of fatty acids; with lowering temperature, the proportion of the achiral TAG increases, and so does the enantiomer ratio from 1:1. Dienoic FAs preferentially esterify position sn-3, whereas in trienoic acids, it is position sn-1. The online version of this article (doi: 10.1007/s10811-014-0354-y) contains supplementary material, which is available to authorized users. The research was supported by the project GACR P503/11/0215 and by the Institutional Internal Project RVO61388971.